This "key" man was straightforward about his concerns and it took every ounce of my sales experience to gain the privilege of writing a large check. Truly, I’ve never worked harder in my life than I did in those early months to win the right to spend staggering sums of start-up money. The wine community is just that - a community - and along with the support they give one another – there is also the wary eye and turned shoulder to newcomers and outsiders. Again, understandably. There are many personalities that enter the wine world filled with ego and vanity, neither of which is productive or welcome in a community of multi-generational farmers and people who have made countless sacrifices over the years to remain steady stewards of the land. It took time to convey our respect for these people and explain the bridge to each of our agricultural family histories. We did start working with that fruit in 2012 and “The Farmer” was born. Over these early years at Ernest, this wine has been one of the most distinctive and special single-vineyard wines we’ve produced. We learned how best to vinify and highlight the special clonal characteristics of the fruit including the unparalleled perfume and vibrant natural acidity. 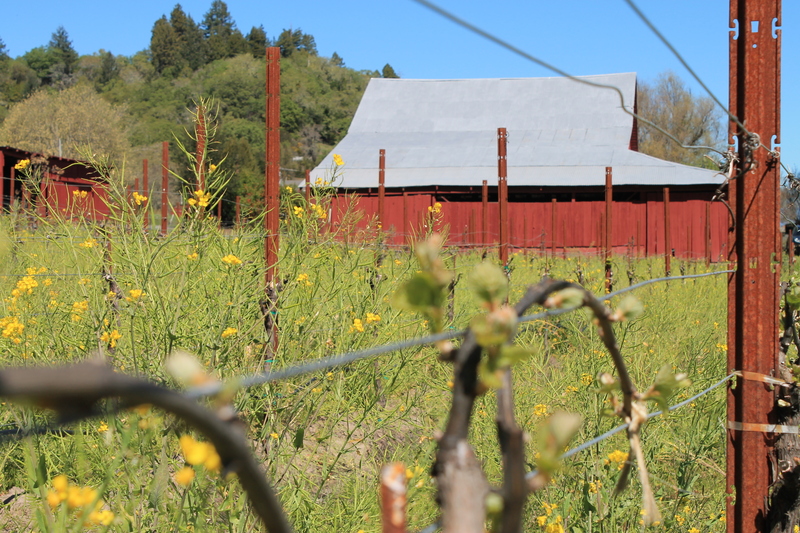 The 2015 vintage we are releasing this spring marks our most exciting wine yet from the site; it’s energy and purity is what continues to inspire us here at Ernest. But, things change. In early 2016, I was standing in the vineyard again with a different man who now had the keys. After over 40 years of one family managing the vineyard from the day it was planted, an ownership change had led to this different manager who had new ideas. He had a new price, over an 80% increase overnight, immediately…if we wanted to continue working the fruit. Flush with shock and perhaps a little rage, I declined his price (which translates to YOUR price) and walked back to my driver's seat to contemplate the powerful feeling of loss. This happy marriage of Green Valley Ranch and Ernest’s The Farmer was over. Change is of course not always about loss, and I’m happy to report we found our silver lining. In future years, we’ll introduce you to another Chardonnay vineyard that inspires us just as much, if not more, albeit for utterly different reasons. For now, in the Spring Allocation please enjoy the 2015 Green Valley Ranch “The Farmer” as our grand finale…the swan song. And let’s all toast to the power of change.